Stellar Industries has the answer to that question. 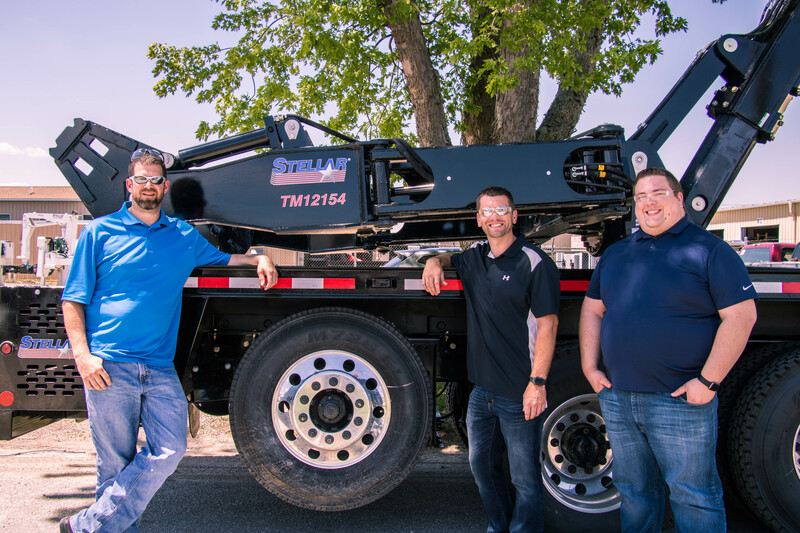 Stellar designs and manufactures hydraulic truck equipment – cranes, hooklifts, tire service, and more – for the construction, mining, and utility industries. In other words, they make the equipment to change those 12-foot-diameter tires, as well as perform a lot of the other service on hulking pieces of industrial machinery. It is interesting that 3D printing could be use to do something as intriguing as this. Luckily there are mark downs for those who are interested in finding computer systems that might be able to help. Stellar is based in the small Iowa city of Garner, and driving through downtown feels a little like driving through a Stellar Industries ad. Every other building seems to have a Stellar sign on its facade; the employee-owned company employs some 400 people there and sprawls across town. Hydraulic truck manufacturing is a massive industrial operation that requires a lot of space, and the Stellar warehouses that dot the landscape each contain some portion of the truck-manufacturing process. There’s the shop section, replete with engineering toys like enormous CNC machines and laser cutters, huge press brake machines that bend pieces of steel like putty, sparks flying from plasma cutting robotic arms and human welders alike. Another gargantuan building houses just the paint portion of the process, where truck bodies receive their coats on a journey along a carwash-esque track. The final stop of the trucks, the assembly building, is where everything comes together and the trucks take shape, workers flitting around the lifted rigs with tool boxes. In a slightly less hectic area of the assembly building, a large wooden crate on wheels has arrived. It’s Stellar’s second Gigabot. What they were interested in doing was creating tools to help the folks in the assembly portion of the Stellar Industries operation. “When we first started getting into the 3D printing realm, we needed some assembly fixtures.” Scott Britson is the Assistant Engineering Manager and has been in the Design and Engineering Department for 16 years. The fixtures they made were heavy, costly, labor-intensive pieces which also had the negative effect of pulling their machine shop away from actually producing truck components. “We were using aluminum, we were using steel, we were having to machine stuff, we were having to weld stuff,” explained Scott. It was amounting to be too much of a labor, cash, and time sink to produce the tools. Their attention turned to 3D printing. Thus began the hunt for a 3D printer of their own. 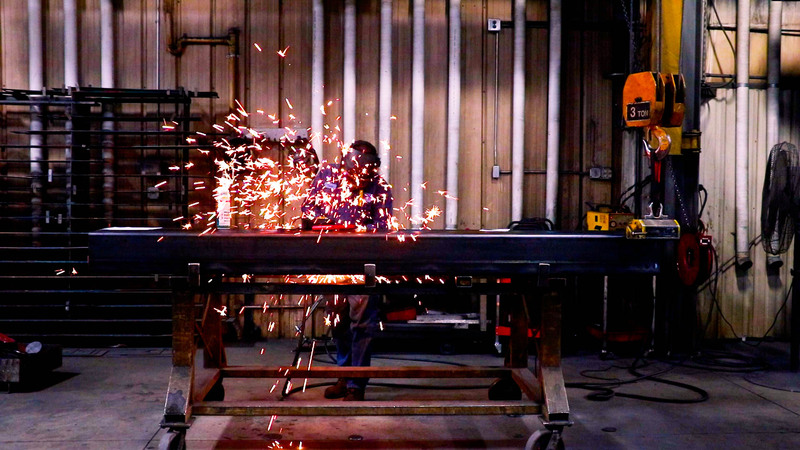 Stellar manufactures big, industrial equipment to service even bigger industrial equipment. They needed something to match that. “We needed to go to something that we could build bigger things, bigger fixtures for the types of trucks that we build,” said Scott. Stellar prioritized a few important features to them: first on the list was size. Another deciding factor, Scott explained, was “the ability to upfit your 3D printer to the newest advancements and not be stuck at a version one, version two, version three.” They wanted something that could evolve with them and stay current with advancements in the industry without them having to buy an entirely new machine. And lastly, they were looking for a company that would come in and teach them, to help make their team 3D printer-literate. “That’s where Gigabot came into our eyes as the clear leader,” said Scott. They completed most of that work in about two to three weeks, explained Matt, and then an interesting phenomenon occurred. People from other departments got wind of the new toy at the office and started coming by to check it out. “It’s kind of a piece that everybody wants to come up and see, everybody wants to take a look,” said Scott, of their Gigabot. It didn’t take long before projects that weren’t originally on Stellar’s radar began springing up. Scott recounted, “We’ve had our assembly department come up to the Gigabot and say, ‘Hey, you’re doing that part, do you think we can get something like that for this? '” The Stellar engineering department works to draws up the idea in CAD and print out the design on their Gigabot. Within a matter of days, they can have the part in their hands. The increased creativity and innovation sparked by the in-house 3D printer, as both Scott and Matt described, is palpable. Their Gigabot was suddenly awash in a steady stream of projects coming from all angles. “Things that we wouldn’t have initially thought of,” Matt explained, “like, go/no go quality tools.” A common misconception about 3D printers – that they’re really only for prototyping – was quickly dispelled once Stellar got their hands on their Gigabot. “I think something that was very eye-opening to me is the range of materials that we could print,” Matt mused. 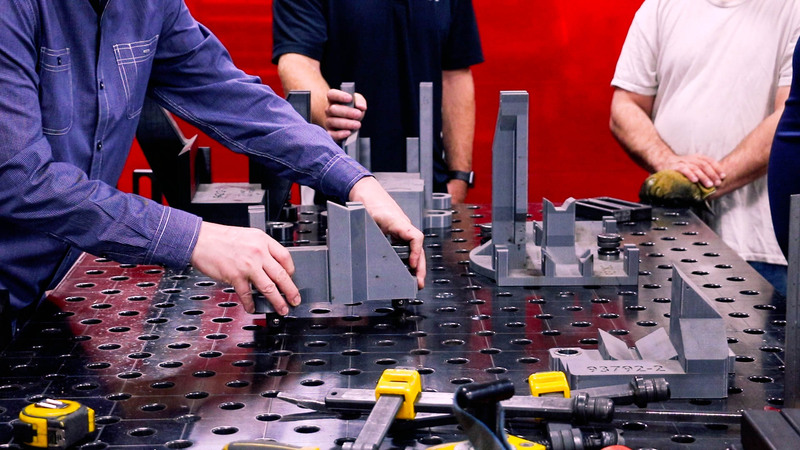 In Stellar’s weld shop are large 3D printed tack fixtures used for cranes. 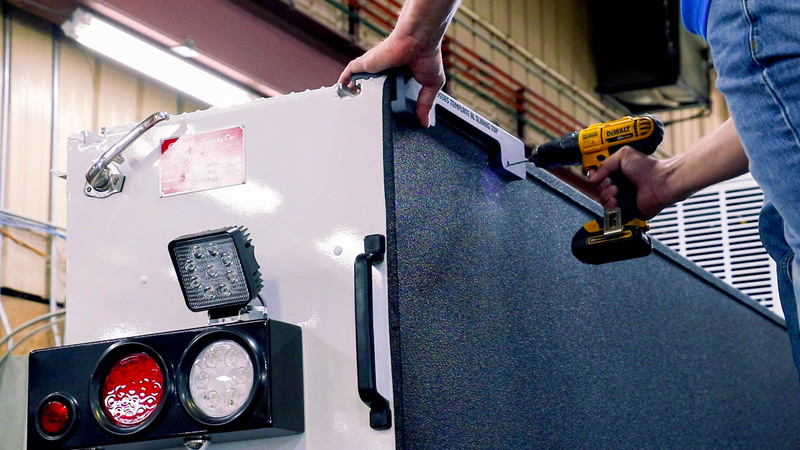 These fixtures are 70-85% cheaper than traditional metal fixturing, and let them keep their production equipment focused on end-product parts. 3D printing them also allows Stellar to keep their lead times down; depending on the size of the part, they are often able to deliver fixtures or tooling with just 24 hours’ notice. 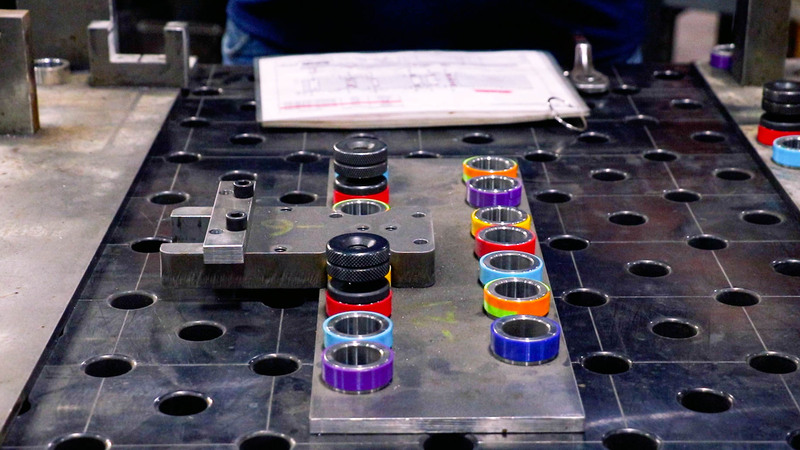 Also in the welding area is an assortment of colorful, 3D printed rings used to designate the holes used for specific tool models. Using the 3D printed collars allows them to match the collars with any additional plastic parts, and are much more durable than denoting them with markings in paint or tape. And, of course, there are the assembly jigs and fixtures that originally spurred the Gigabot purchase in the first place. 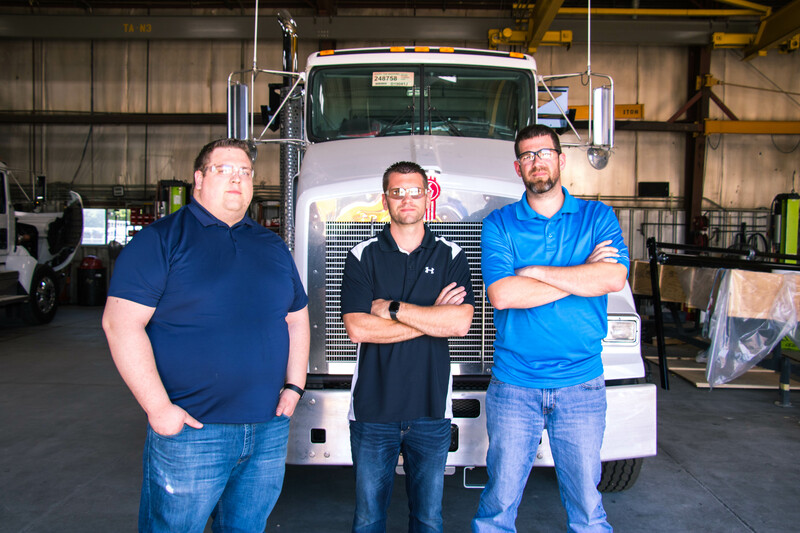 The lightweight, low-cost 3D printed pieces are night and day compared to their first-generation, machine-milled and welded metal brethren, and they’re helping the Stellar assembly team become more efficient and effective with custom truck builds. “I don’t think in the beginning we knew that we would be running the Gigabot nonstop,” said Scott. In the quiet side room off the main assembly floor, they pry the wooden boards of the crate apart with the excitement of kids opening up a new toy, unveiling Stellar Gigabot number two. Within minutes of getting it uncrated and into the office, it’s already begun printing.